What are the advantages of having bots in the workplace? For one, you don’t have to worry about them talking behind you back. In addition, when everyone else heads to happy hour, both you and the bot will safely be able to split an after-hours six-pack without ANY disapproving glances. Anyway, here are 12 “on-the-job” bots that are adding value and saving money in the workplace. Need a welding robot? The possibilities are endless! 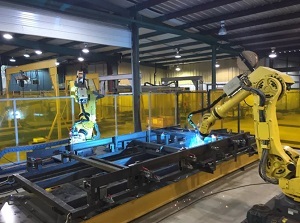 Take the group of arc-welding robots manufactured by Rice Automation in tiny Harviell, MO. How small? The last census counted just 106 citizens. Rumor has it that half that population are actually welding robots. Whatever the case, Rice offers a host of different models featuring ethernet motion control, USB controller capability, a reach of between 60-72 inches, a Megmeet /OTC power supply, and a robotic wire feeder. Where would we be without that feeder? In a heap of trouble on the work floor, that’s where! 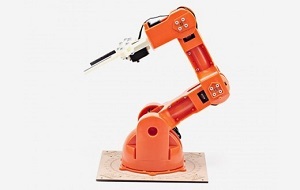 The benefits of using a welding robot are greater weld consistency and a higher quality of overall welds versus a mixture of humans performing the same task. Sounds like a win-win! The days of hospital pharmacists mixing ingredients and creating new mixtures of drugs may well be a thing of the past. 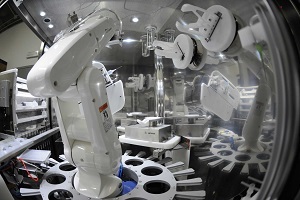 A partnership between German robotics giant Denso and medication management industry leader Omnicell have developed an automated medicine distribution system, connected to the hospital prescription system. It’s goal? To manipulate a large variety of objects (i.e. : drug vials, syringes, and IV bags) that are normally used in the manual process of drugs compounding to facilitate a stronger standardization of medication creation and distribution, create higher levels of patient safety, and lowering the risk of hospital staff exposed to toxic substances. We all love cleaning up around our work spaces, right? OK, next point. 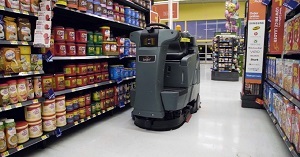 The Global Automatic Floor Scrubber Machine boasts a 1.6HP motor that offers 113" water lift, 180 RPM and a coverage rate of 17,000 sq. ft. per hour. Plus, it saves loads of money on paper towels. It also features a 12 gallon solution tank and a 15 gallon recovery tank. The scrubber itself has a heavy duty 30" cast aluminum squeegee assembly for removing cleaning solution. Model 641250 weighs in at a svelte 209 pounds. Why lift a finger when you can buy a $1500 machine that works like an octopus! 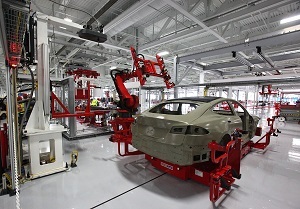 Have automotive robots put the car manufacturing industry in the “fast lane?” (groan). Shamefully, the answer must be a resounding yes. With applications that have included screw driving, assembling, painting, trimming/cutting, pouring hazardous substances, labeling, welding, handling, quality control applications as well as tasks that require extreme precision, auto industry bots are at worst a value-added and a best, a virtual godsend. And where auto industry robots may end, cobots begin, encouraging mutual benefits gained between human and robot! 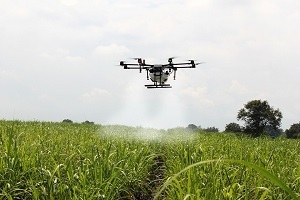 Ecrobotix, a Swiss technology firm has a solar-controlled bot that not only can identify weeds but thereafter can treat them. Naio Technologies based in southwestern France has developed a robot with the ability to weed, hoe, and assist during harvesting. Energid Technologies based in Cambridge, MA has developed a citrus picking system that retrieves one piece of fruit every 2-3 seconds. Spain-based Agrobot has taken the treachery out of strawberry picking. Meanwhile, Blue River Technology has developed the LettuceBot2 that attaches itself to a tractor to thin out lettuce fields as well as prevent herbicide-resistant weeds. And that’s only scratching the finely-tilled soil! When it comes to smart cranes, we aren’t talking about birds that know where the fish are biting. Instead, we turn to a robot manufactured in a variety of sizes for generally the same sort of task: lifting heavy objects. 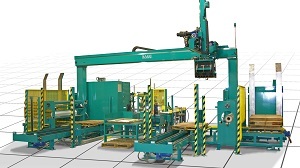 Gantry Robots manufactured by Sage Automation are a case in point. The smaller Gantry Robot is the size of a small room while one of their larger creations can be as long as a football field! Applications including palletizing, material handling, pushing/pulling and loading/unloading just about anything from any place directly into YOUR space. Let the robot lift while you watch! The “warehouse of the future” is quickly looking like the “warehouse with few humans”, but that may not be a bad thing. 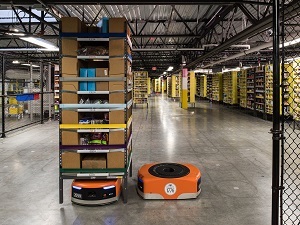 With advantages including increased productivity and standardization, lightweight and easily programmable equipment, and easy integration with existing software systems, order picking bots are increasingly becoming the darlin’s of the warehouse. Take the products described by MHI, an industry group that boasts that it “makes supply chains work.” Here, robots have a multitude of warehouse-based applications including automated storage and retrieval, integrated material handling, as well as effortless sortation. Paper is eliminated, accuracy is increased, and walk time reduced – a win-win-win. Need a hand? Why not just install an entire arm instead? And find one with the sexiest name that just rolls off the tongue like a fine Italian Sangiovese: the 'Arduino Braccio Robotic Arm'. This product is sold as a kit and requires assembly, so don’t expect your arm immediately ready to bend. Weighing in at just under 2 pounds The Braccio is a rather versatile and flexible creature allowing for object support, for example a camera or solar panel. Mount a phone or a tablet on it and be the talk of your video conference! 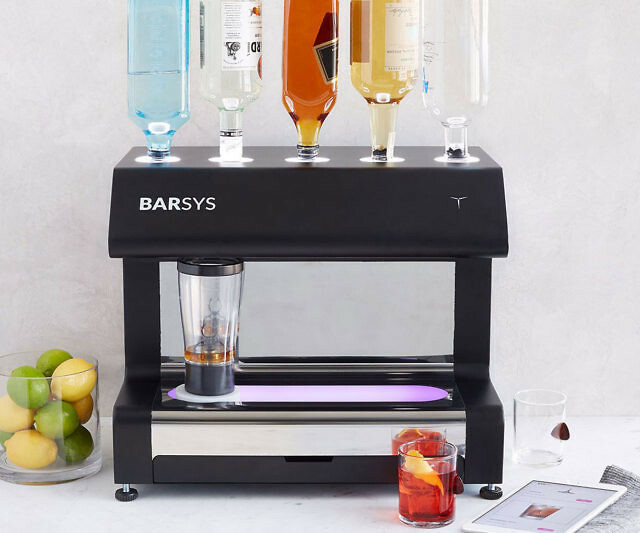 Why hire a bartender for your office party when you can purchase the BarSys Automated Cocktail Maker, guaranteed to please even your most fussy VP of Libations (sorry, I meant “operations.”). Priced at just over $1000 and boasting a memory of more than 2000 mixes, the ACM boasts a spill free design, sleek metal case design, and most importantly automatic cleaning. The machine contains the all-important (3) mixing cans, a wireless mixer, a removable spill tray and 5 bottle mounts. Libraries are as much “industrial” businesses as any warehouse and in fact are partially warehouses for the storage of books. 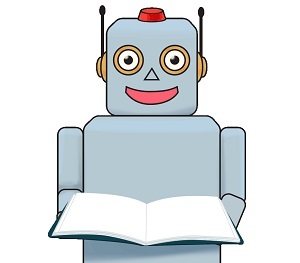 With this in mind, the A*Star (Singapore) developed library bot which when books are equipped with RFID location chips, can scan shelves quickly seeking out-of-place titles and saving librarians the tedious, labor intensive task of literally "reading" library shelves. The A*Star maneuvers with ease around corners, enhances the sorting and searching of books, and can self-navigate the library facility during non-open hours. While the technology doesn’t come cheap, A*Star is encouraging librarians to dream of performing more enjoyable tasks in the future leaving the dreaded ones to something that might even perform the function with more efficiency than them! 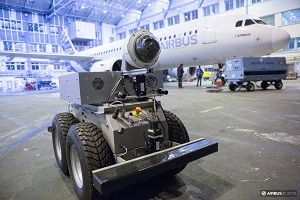 Air Cobot is a French-manufactured cobot (working WITH a human) able to inspect aircraft during maintenance operations. The project began in 2013 with emphasis upon lower half aircraft inspection and has continued to “spiral” up. Inspection takes place at both the airport and at the factory. The off-road robot platform moves at about 5 mph and comes equipped with front and rear bumpers not for the purpose of crash avoidance (!) but rather to detect obstacles. Speaking of detection, the Air Cobot boasts multiple sensors, specialty cameras and scanners, a GPS system, two on-board computers (one Linux, one Windows), and weighs in at about 500 pounds. Air safety just got an even stronger reputation! 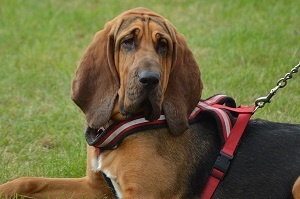 Sometimes when one of us first smells something the damage has already begun – like the smell of burning rubber or even worse, the smell of a deadly gas. Thank goodness for a robot capable of quickly detecting and analyzing a smell from our very own footprint. (Note: not applicable in New York City where even the least experienced human smeller has a pretty good handle on what substances are contained in his/her own “footprint”). Seriously, this is a revolutionary development. Scientists have based this bot on something called “localized surface plasmon resonance.” They discovered that their bot could accurately detect the location of ethanol odor sources placed at different positions along its path, traveling at about 4 inches per second. Now that IS impressive.